I just returned from a week at Girl's Camp! It's the best and I did NOT want to come home. The girls are amazing!!! We began the camp with an 8 mile hike. I gave the girls their lanyards and along the hike we stopped and talked about the Scarecrow, the Tin Man, and the Lion. Click HERE for the PDF of these discussions. Click HERE to see the pins I made for the lanyards to go along with the characters in the Wizard of Oz. I had painted 2 bricks yellow - get it? 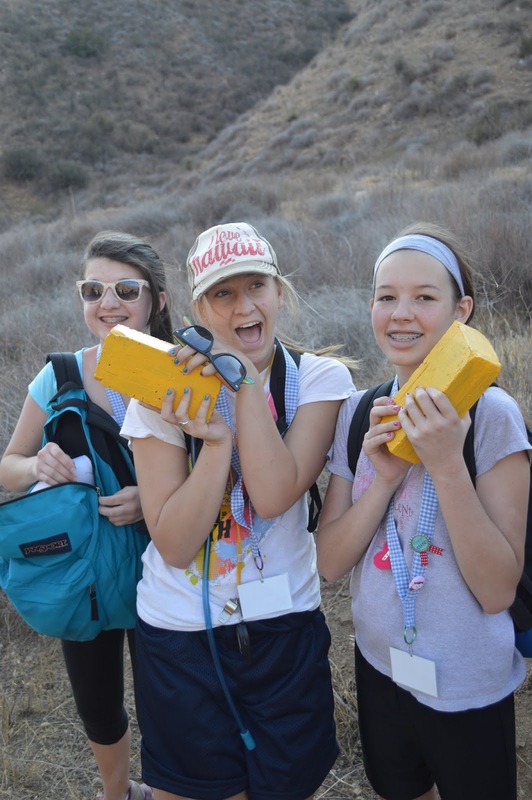 I had the girls take turns carrying these bricks in their backpacks. At the end of the hike we talked about burdens and how Jesus can lighten our burdens. It was pretty cool! 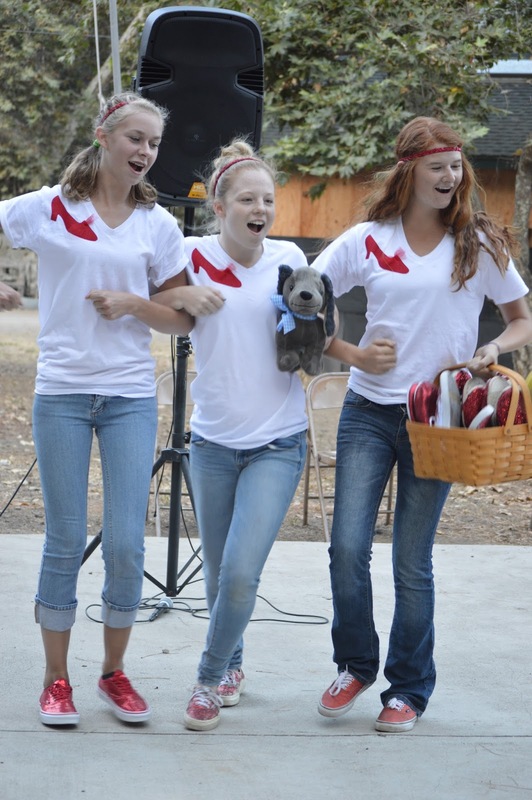 The ruby slipper shirts looked cute on the girls!! They are the cutest girls!! the wonderful temple of God. It really is a holy place where we can feel God's love. Because we are Children of God!" It was really cute. Along the path they encountered girls who needed Knowledge, Courage, and a broken heart healed. At the end of the skit, they all had on their "Ruby Slippers" they made and they sang Somewhere Over the Rainbow while one of the girls played it on the Ukulele. It was adorable and it made me cry!! The tie-dye shirts were also a hit! They were great because I could spot the girls all over camp!! So much fun! Now I have to finish unpacking and do LOTS of laundry!!! I have loved these posts! Did you also glitter tennis shoes for the girls to wear? Love the whole theme and deeper meaning behind them. Especially that Yellow brick lesson, wow! Thanks for sharing.